Offer you or someone you care about the gift of invaluable information to create a healthier home that promotes restorative rest, clear minds, enhanced presence, unburdened bodies, and reproductive health. A healthy home is essential to good health, and boundaries with our technology are essential for overall wellbeing. 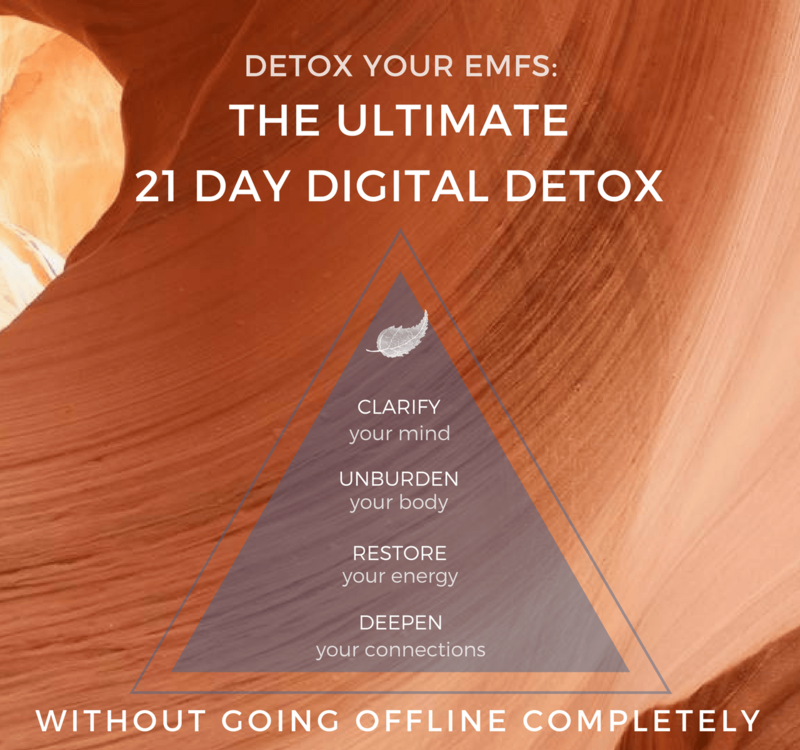 Detox Your EMFs can effectively hack unnecessary EMFs in 21 days. Sophia's weekly online "office hours" will also offer exclusive content on how to restore and rebalance energy through natural approaches. Scroll below for more details. Save research and time. This program distills years of research and practical experience into 21 key strategies—1 per day—to reduce your EMF exposures. Each lesson takes less than 5 minutes a day. Start by watching the video that is generally 1-2 minutes. It provides context for you to appreciate the checklist that you will complete. Complete each lesson with a checklist to help you apply the daily tip. Participants will become a member of an exclusive, online portal with curated content. A new tip will be released each morning at 10am EST. 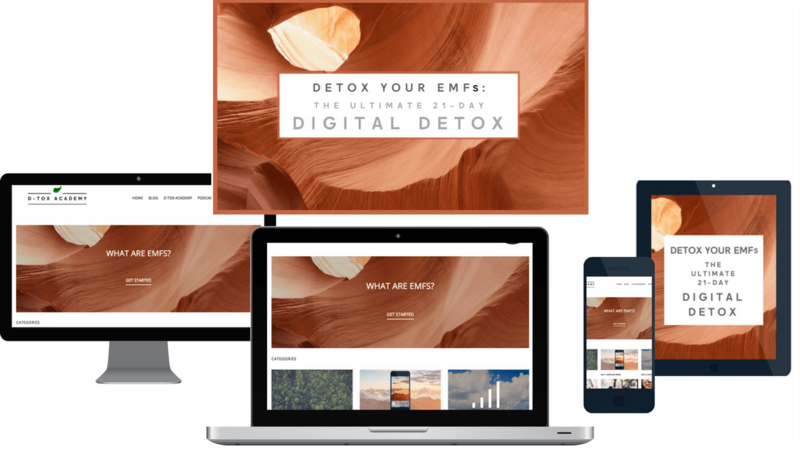 Detox Your EMFs launches January 22, 2018. As participants complete the online checklists, Sophia Gushée will review them to customize progress and encouragement throughout the 21 days. Participants can reference A to Z of D-Toxing for more explanations. Access to Detox Your EMFs is for 1-year. Access to the private Facebook group is for a lifetime. Weekly "office hours" will take place in a private Facebook group. Detox Your EMFs was designed to teach you what to do to hack your EMFs in as little time as possible. For those who would like more information, you have several options to learn more. Participants can benefit from live videos (that will be recorded for access at your convenience) as well as curated content by other experts. Click here to learn who Sophia will be talking to for the January 22 cohort: "Office" Hours. A salt cave. There will be a discussion on the role that salt can play in your wellness approaches. An expert on foods that help detox radiation. An energy healer to develop a bath ritual to detox and restore. 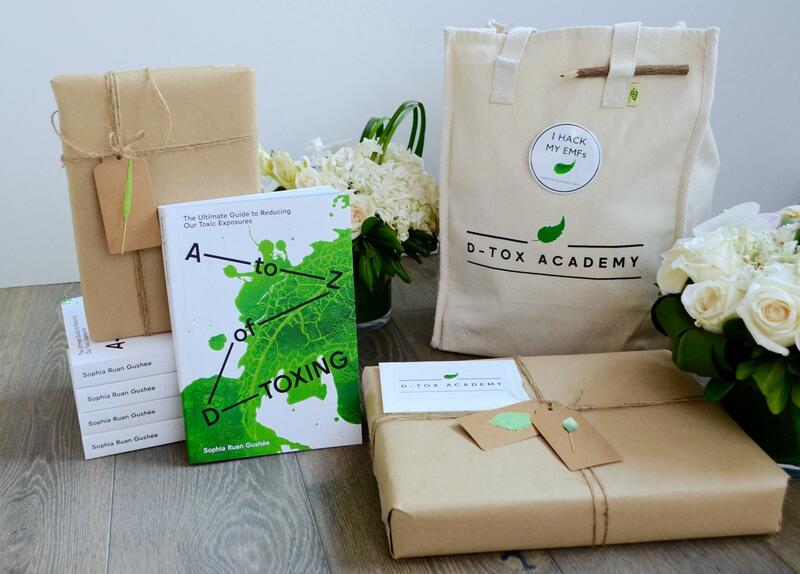 Your giftee will receive a personal welcome letter from Sophia Ruan Gushée, creator of Detox Your EMFs and author of the critically-acclaimed book A to Z of D-Toxing: The Ultimate Guide to Reducing Our Toxic Exposures. As seen below, the gift will also include a custom tote bag, the limited first edition button, "I hack my EMFs," details on how to access Detox Your EMFs, and a personalized copy of A to Z of D-Toxing. Collectively, all will arrive beautifully wrapped. The limited, first edition buttons (below) are numbered and signed by Sophia. They are meant to start conversations about this important and overlooked topic. The limited edition button is a collectible, memorializing the beginning of a movement. 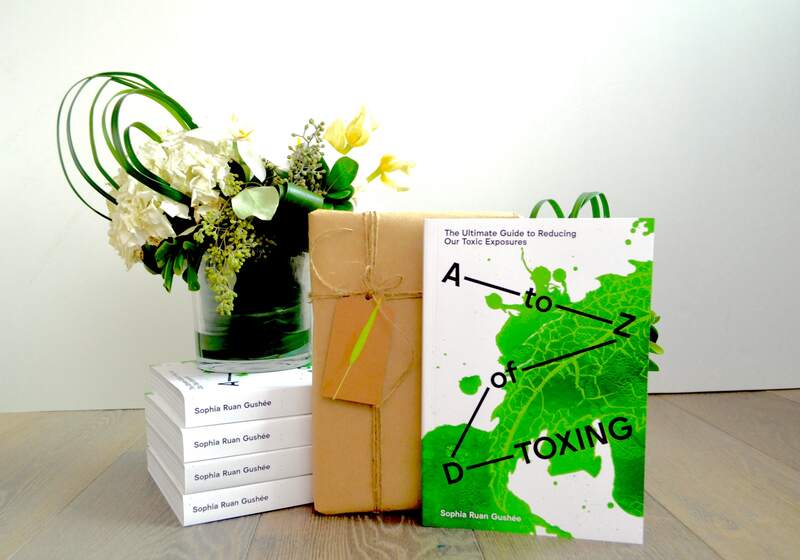 The author can personalize the signing of A to Z of D-Toxing for your giftee. 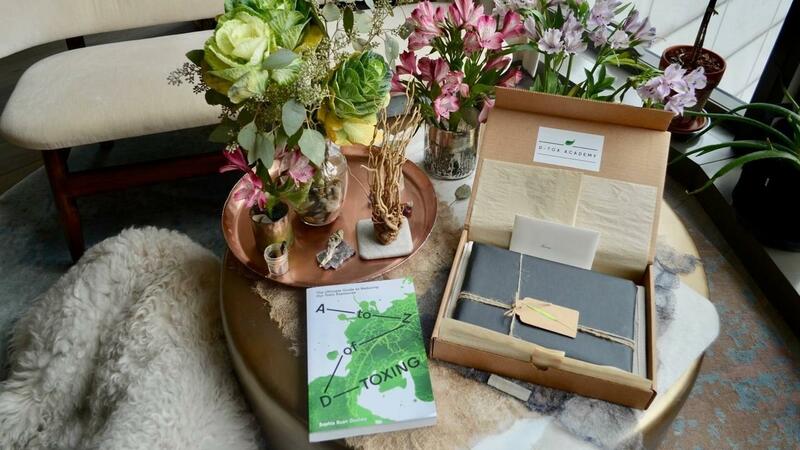 In addition to the Basic Package, the Premium Package includes A to Z of D-Toxing with a personalized note by the author. Gift wrapping, USA shipping, and handling included. Give this online workshop to you or someone you care about. * Please note prices are subject to change. 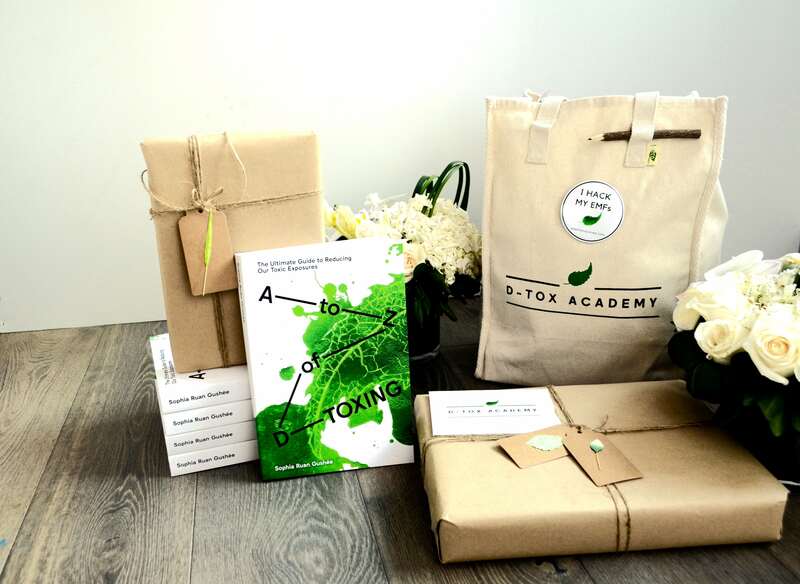 This workshop is accompanied by the book A to Z of D-Toxing: The Ultimate Guide to Reducing Our Toxic Exposures and a D-Tox Academy tote bag. Gift wrapping, USA shipping, and handling included. * Please note that prices are subject to change.